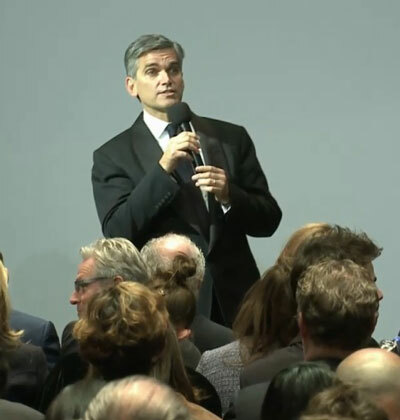 Sotheby’s Shortfalls: What’s Missing from CEO Tad Smith’s Earnings Conference Call? Notwithstanding the assertion by Sotheby’s CEO Tad Smith that he was “pleased with the progress we’ve made on our strategic objectives,” there was much cause for concern in Sotheby’s conference call with securities analysts this morning (covering fourth-quarter and full-year 2015). Professing to be “incredibly excited about our prospects,” Smith tried to put an upbeat spin on the downbeat financial results in its latest 8-K report, filed with the SEC. Net income (profits) for 2015 totaled only $43.7 million, a 63% decrease from the previous year’s net income of $117.8 million. The lower level of net income is due to a number of charges recorded in 2015, including a $65.7 million non-cash income tax charge related to the planned repatriation of foreign earnings [to help bankroll the stock-repurchase program] and an after-tax charge of $23.6 million related to a series of regional voluntary separation incentive programs [i.e., staff buyouts], both recognized in the fourth quarter of 2015. Excluding these and other charges, Sotheby’s reported adjusted net income of $143.1 million…[compared] to 2014 adjusted net income of $142.4 million. 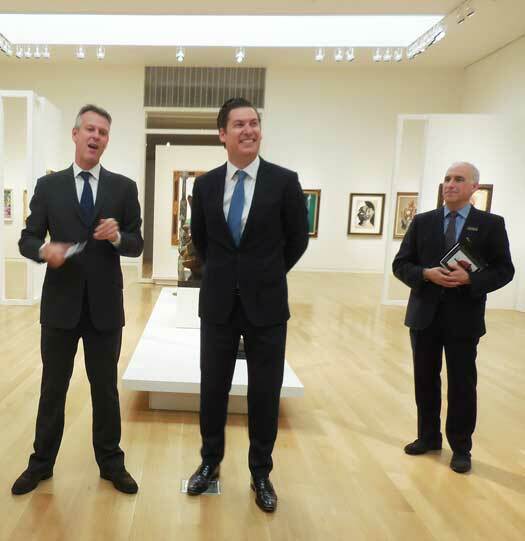 But that $3 million loss (which doesn’t include the $6 million in expenses incurred by the Taubman sales) is based on Sotheby’s being able to realize the estimated value of $33 million for the Taubman works that failed to sell at auction, and became Sotheby’s property, under the terms of the guarantee. Now that those works have been “burned,” and given the what Smith himself today called “a period of lower sales” (continuing into the current quarter, when aggregate sales to date have been 33% below last year), the prospects for recouping the full $33-million estimated value for the unsold Taubman works seem uncertain at best. Even more telling than what the CEO said during the conference call was what he didn’t say: Conspicuously absent was any information about the highlights of upcoming sales—a regular feature in conference calls presided over by Bill Ruprecht, Smith’s predecessor. That’s because “the market is a little tighter on consignments, as people are in a wait-and-see mode,” as Smith’s explained it. Also missing were details to back up Smith’s claim that Sotheby’s now has “better expertise and specialists” than it had a year ago, other than the principals of Art Agency, Partners (the advisory firm recently purchased by Sotheby’s)—Allan Schwartzman (who spoke briefly during the conference call), and Amy Cappellazzo (who didn’t). In 2015 , 2014 , and 2013 , Sotheby’s and Christie’s together totaled approximately $12.3 billion, $12.9 billion, and $11.0 billion, respectively, of Aggregate Auction Sales, of which Sotheby’s accounted for $5.9 billion (48%), $6.1 billion (47%), and $5.1 billion (47%), respectively. To ramp up investor- and consignor-confidence, Sotheby’s will need more than “ham hock” on its 2016 menu!